I found the preceding quote maligning television as a form of entertainment in a book written in 1974 by Patrick Beaver entitled Victorian Parlor Games. Beaver was making the point that while we might sometimes look back on the Victorians and think they must have led incredibly stuffy and boring lives, they would not have thought so themselves. In his book, Beaver describes a collection of different parlor games played during the Victorian era that ,reveal that the Victorians did actually enjoy having fun. Rosamond Gibson’s memoir provides additional examples of the ways in which the Victorians found to amuse themselves. Her descriptions of the various entertainments she enjoyed with her friends and children don’t betray any sense of boredom. In one (rather vague) reference to how her days were filled during travels in Europe, she notes, “In the evenings we met in each other’s rooms, playing cards and various games. We were … reluctant to leave [Paris]... especially [her sister]Nellie’s and my beaux[,] with whom we had ridden almost every day.” While horseback riding was one form of daytime entertainment, cards and parlor games seem to have been the choice of entertainment in the evenings. It seems from this that organizing plays with the children and then watching them be performed became a source of entertainment for Rosamond and her neighbors. So while Mr. Beaver’s quote from above is a little harshly critical of today’s entertainment, he does make a good point. We tend to think of the Victorians as stuffy and boring, because it’s hard to imagine a world of entertainment without our modern technology. But the Victorians didn’t seem to have trouble filling their days, and maybe, just maybe, we could learn something from that today. 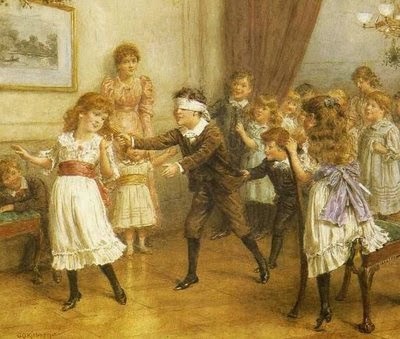 Above: Children playing Blind Man's Bluff, a game in which one person was blindfolded and had to try to catch others in the room. Warren, Rosamond Gibson. Recollections of My Life For My Children. Meador Press, 1939. Beaver, Patrick. Victorian Parlor Games. 1974. I think I can speak for many historians when I say that it’s the “Aha!” moment that drives us. Those seemingly endless searches in the archives can frustrate and lead to existential crises, and then you stumble across something that just “clicks.” The newly discovered connection leads to another connection, and suddenly your research has new life. A few months ago, the Gibson House had the pleasure of welcoming Dr. Mark Rockoff, who recently co-authored a paper on Dr. Freeman Allen, a Gibson relative. Dr. Rockoff took us on a journey through his own exciting research, in which he had the good fortune to encounter many “Aha” moments. Dr. Rockoff’s presentation not only enabled us to live vicariously through his many discoveries, but it also provided us with the opportunity to discuss why it all matters. Before I get to that, let’s start with the bulk of what Mark Rockoff’s research covered: Who was Dr. Freeman Allen? Dr. Freeman Allen was born in 1870, the son of a preacher and the grandson of Harriet Beecher Stowe, the author of Uncle Tom’s Cabin. 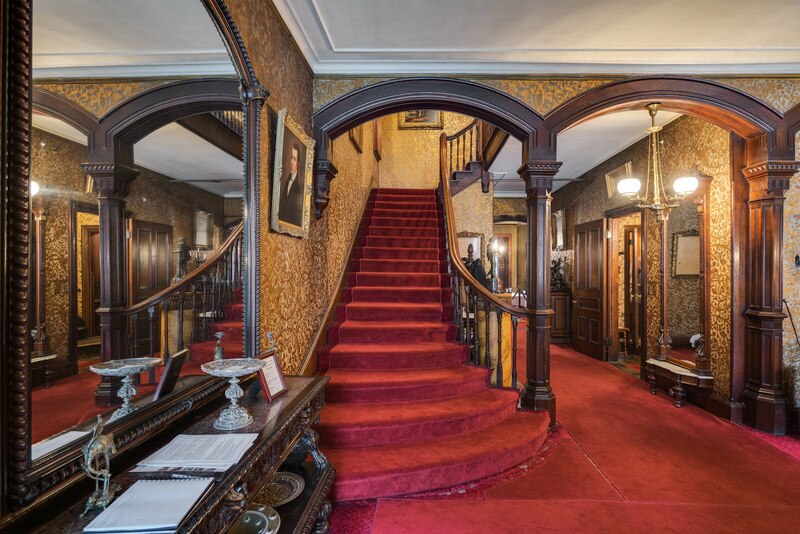 When Freeman was seven, his family moved to 200 Beacon St. in Boston’s Back Bay, close to the Gibson House. He graduated from Harvard University in 1893, and proceeded to spend several years traveling throughout Europe, taking medical courses, and pursuing his hobby of mountain climbing. He then studied at Harvard Medical School, graduating in 1899. After working in the medical profession for a couple of years, Freeman started pursuing the study of anesthesia in earnest. At this time, anesthesia wasn’t considered a specialty, but was usually performed by medical students or nurses. Freeman studied under leaders in the field of anesthesia, and in late 1901 became the first anesthetist at Boston’s Free Hospital for Women. He was also given anesthetist posts at the Massachusetts General Hospital and Boston Children’s Hospital, becoming a local leader in the field . In 1911, Dr. Freeman Allen and Mary Ethel Gibson (daughter of Charles and Rosamond Gibson and sister of Charlie, the museum’s founder) were married. Freeman wrote of the marriage’s effect on his life, “Since my marriage, on July 20, 1911 to a girl of whom I have always been very fond, I find that my interest in my work and in life in general is at least ten times greater than ever before.” The pair had one child, born in 1916, named Henry Freeman Allen. During his life, Freeman was known to go above and beyond in his career. While in Cuba during the Spanish-American War, he almost died when he exposed himself to yellow fever for experimental reasons. In 1917 when an explosion in Halifax brought the city to its knees, he became one of the first responders, leaving his wife and infant son behind for almost a month in order to assist the victims. In his personal life, too, he was known to be a courageous risk taker. Once, he jumped into a freezing pond to save a drowning child. He was also considered a premier mountain climber of his day, and was described as a “thoroughbred in every sense of the word.” He died in his home in 1930, at the age of 59. In the course of his research, Mark Rockoff communicated with the two living grandchildren of Dr. Freeman Allen, Rosamond and Freeman “Towne” Allen, who led him to his greatest “Aha!” moment of all. They told him that the public version of Freeman Allen’s death—that he had died at home of heart failure—was not true. Freeman had actually committed suicide while being treated for morphine addiction. Dr. Rockoff later found the death certificate, which confirmed the veracity of this story. Following Dr. Rockoff’s presentation, we talked extensively about the decision to reveal this part of the Allen family history. The presence of Freeman “Towne” Allen at the event provided us with some extra insight, and overall I think this part of the talk really gave us a sense of why this all matters. 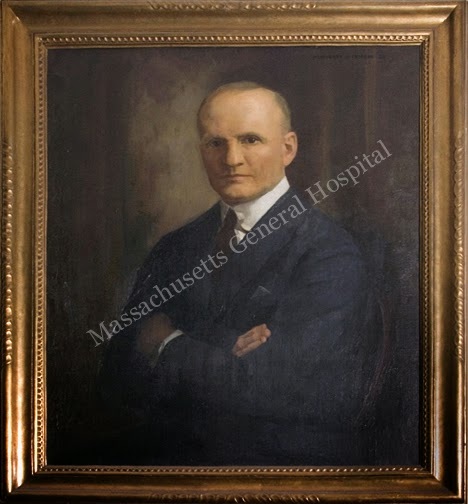 Dr. Freeman Allen was an important figure in medical history as a leader in anesthesiology in Boston. However, easy access to drugs combined with a family history of drug abuse, and probably some other unknown reasons, led to his ultimate demise. Freeman Allen’s experience points to problems in this field of medical practice that still exist today. The medical community continues to struggle with how to alleviate the problem. But by confronting this piece of history, there’s hope that we might be able to learn from it. Rockoff, Mark A, et al.. "Freeman Allen: Boston's Pioneering Physician Anesthetist." Anesthesia & Analgesia 119.5 (2014): 1186-92.